Some California attorneys want to remove the Mississippi state flag from a display of the 50 United States flags at Santa Ana’s downtown Civic Center because they say it symbolizes hatred and racism. The Newport Beach-based Orange County Bar Association released a statement condemning the flag for being “inextricably linked to a legacy of racism, exclusion, oppression and violence.” They recently resolved that the flag be taken down. 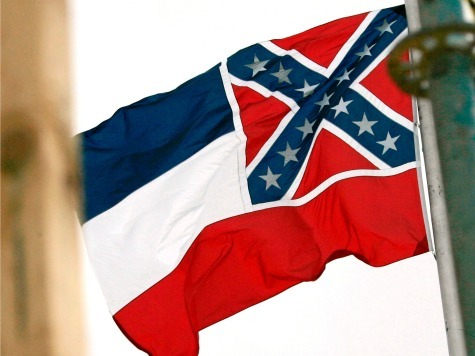 This is not the first time there has been a move to remove the Mississippi flag; in 1997, there was a movement to ban the flags of Mississippi and Georgia. Since that time, Georgia removed the Confederate emblem from its flag. In Mississippi, however, an effort to change the flag in 2001 was defeated. The Mississippi Supreme Court ruled in 2000 that there was legislation passed in 1906 that repealed the 1894 adoption of the state flag, thus clearing the way for the 2001 referendum. However, the movement for a new flag design was rejected by Mississippi voters, even though the pro-change movement was largely supported by the business community, including the Mississippi Economic Council.